Hudson Varick Resources, Ltd. – Change is happening. We can help. Change is happening. We can help. Hudson Varick Resources Ltd. (HVR) is a mission driven business advisory firm working to advance sustainable and equitable local economic development through food systems. We help entrepreneurs, investors, organizations, and government entities identify viable economic solutions that are rooted in a deep love and respect for people and the planet. HVR leverages a unique combination of skills, experience, knowledge and relationships to deliver sustainable business solutions. Through robust primary and secondary research, HVR can determine the success criteria and risk factors of markets for clients, identify gaps and barriers to action and create a path forward. Prior research includes landscape analysis, competitive assessment, stakeholder analysis, best practice reviews and case studies. Based on the needs, resources and desired outcomes of our clients, HVR can assist food and farm entrepreneurs to grow through opportunity identification, market development, business planning, financial modeling and grant writing. Raising capital for your business or investing in a business is about more than financial analysis. The social and environmental impact of the investment capital is equally important. HVR can help businesses identify their social and environmental impact and help prepare them for a mission driven capital raise. For the mission driven investor, HVR can identify and help evaluate potential impact investments. 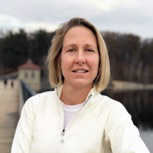 Karen Hiniker Simons, Principal of Hudson Varick Resources Ltd, is a respected consultant with over 20+ years of experience working toward healthy local economies. Her work is based on the belief that people and planet matter, and profit comes when both are well. Since founding HVR in 2010, she has focused on sustainable and equitable local economic development thorough food systems. Through Karen’s work at the WellMet Group, a foundation that supports community based innovation by funding emerging nonprofits, she developed a deep understanding of how strategic impactful investments can grow local communities and improve people’s lives. Under her 15 years of leadership, WellMet provided over $2.3 million in grants to nonprofits. Prior to founding Hudson Varick Resources Ltd. and leading WellMet Group, Karen spent 10 years in the financial services industry where she oversaw a $2 billion fixed-income investment portfolio. She was responsible for investment analysis and decision making, technical structure of transactions, legal documentation and portfolio monitoring including workouts and restructurings. Karen Hiniker SimonsPrincipal, Hudson Varick Resources, Ltd.
Karen holds both a Master in Business Administration and a Master in Public Policy from New York University, is a Certified Financial Analyst, a Master Gardener of Connecticut and serves on the Boards of Bedford 2020, GreenWave and Westchester Growers Alliance.